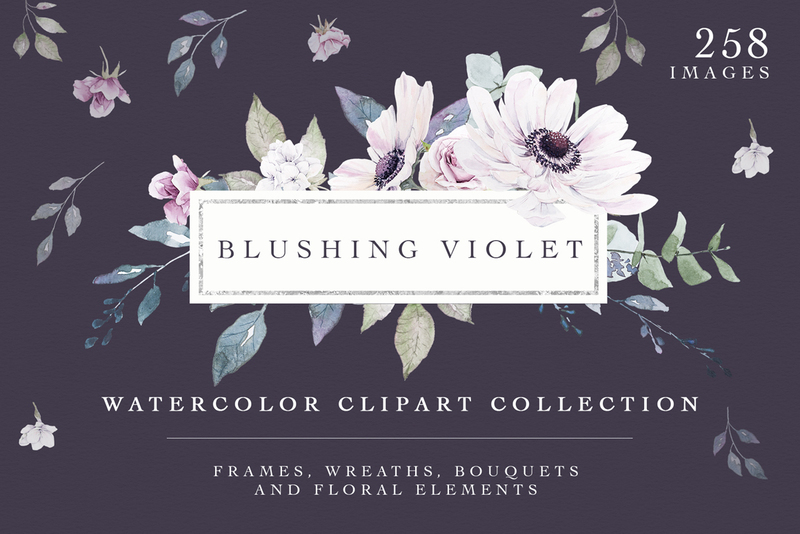 A hand-painted collection of watercolor flowers, arrangements and more! 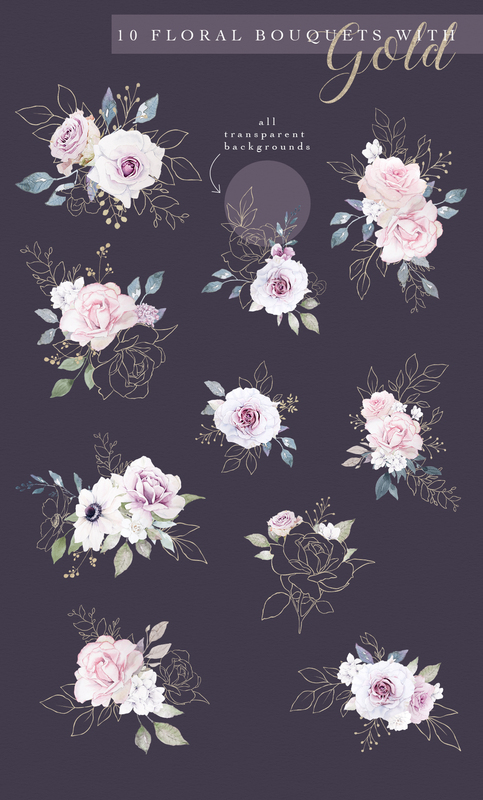 This watercolour floral collection was hand painted with love. 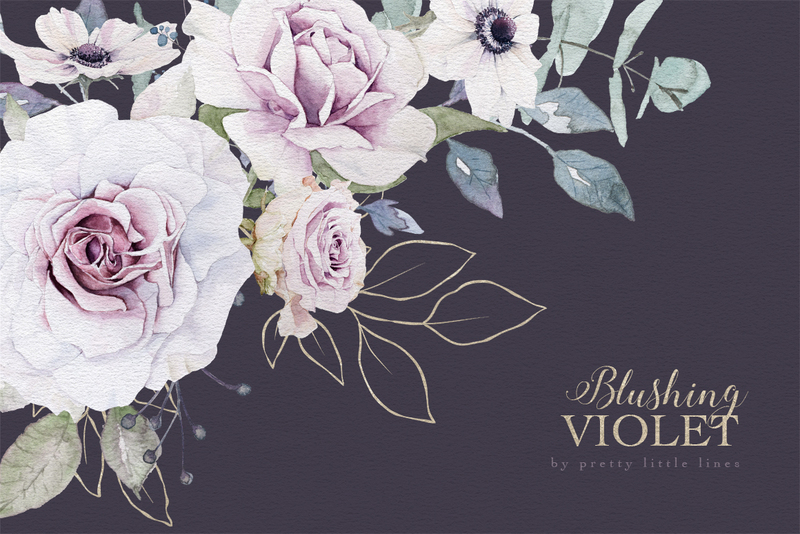 It’s soft, sweet, pale colour palette is perfect to add a touch of elegance to your next project. 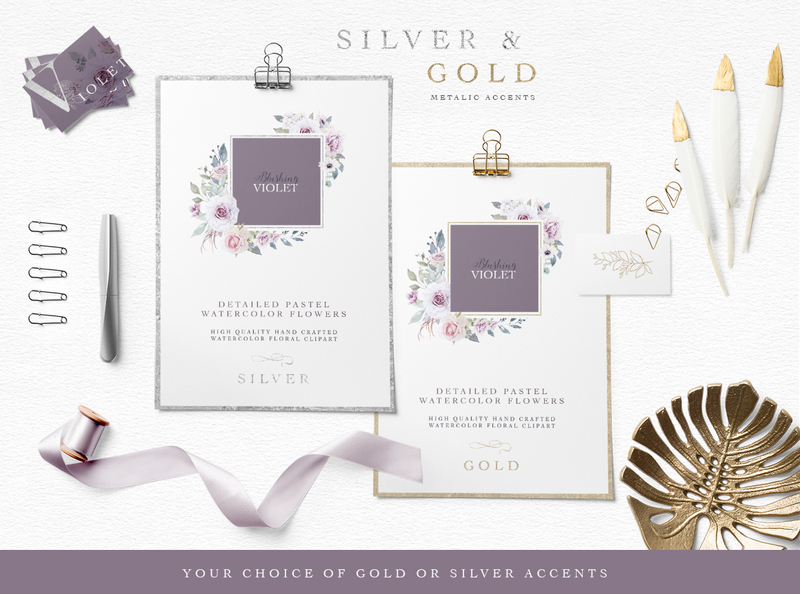 The lovely blush pink and violet colours have delightful metallic accents – your choice of silver or gold all in one collection! Every image with metallic sparkles comes in both silver and gold to coordinate with your colour scheme. 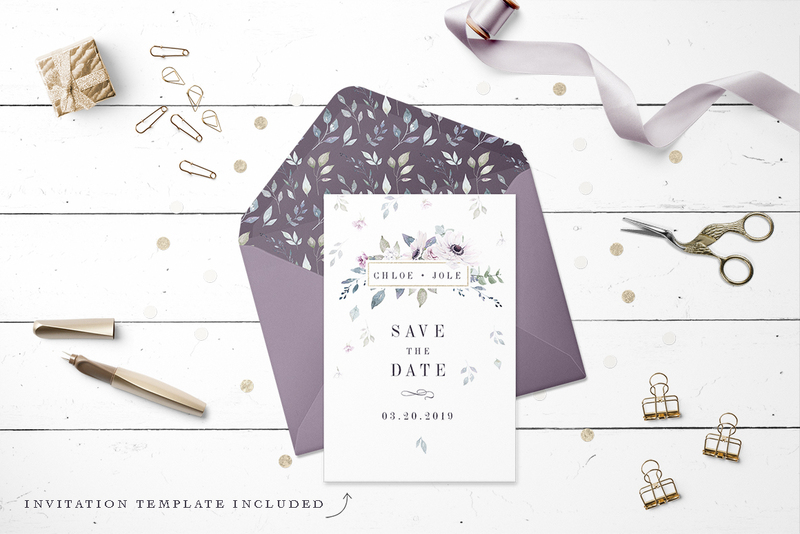 This collection is perfect for bridal invitations, parties, anniversaries, and so much more. 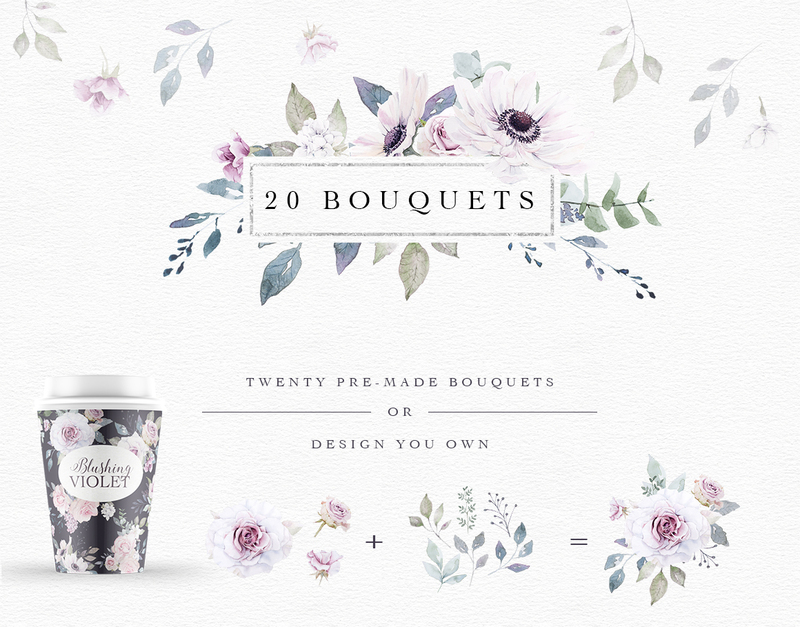 With over 250 elements, you will have more than enough goodies to design an array of beautiful creations. 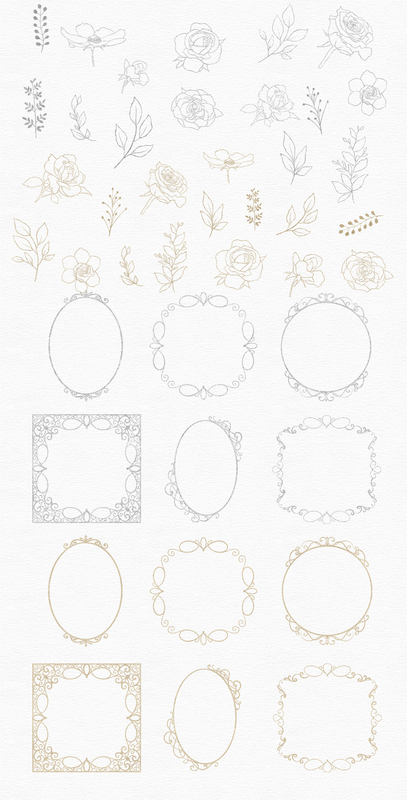 With floral bouquets, arrangements, wreaths, and frames, quickly dress up your design or with 80+ DIY elements create something unique from scratch. Each image is on a transparent background, making it easy for you to use on any background you choose. 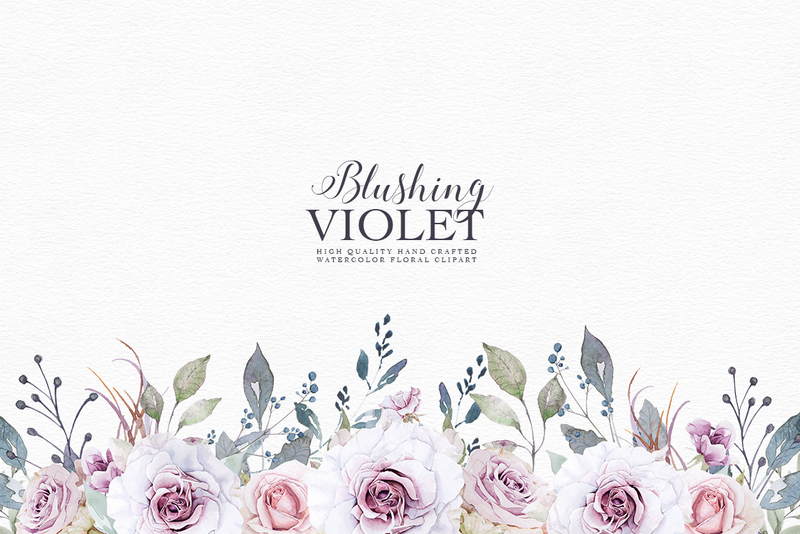 Have a wonderful time creating endless beautiful designs. Hello, this is lovely. Are the paper texture included in the bundle? Would you mind letting me know which paper texture you are referring to? I think you mean the background texture in the preview graphics but I just want to make sure! Can I use this in PicMonkey or Inkscape? Thanks so much for reaching out to us Laurel! As the designer has provided these elements in PNG format, these should work in most design based software. 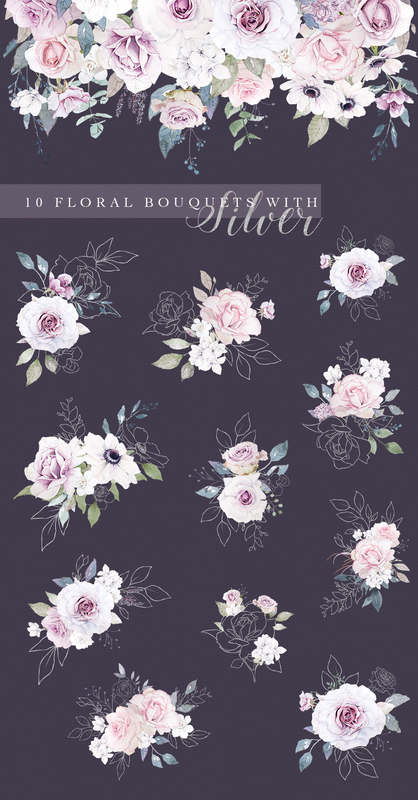 We do not work in Inkscape or PicMonkey ourselves to be able to double check if these will definitely work for you Laurel, however we would be happy for you to purchase and trial this pack for 30 days so that you can see if these would be a great addition to your collection.